Add Star Trek: The Next Generation to your repertoire! You repertieore... never mind, that doesn't work. Featuring fabric dyed to the same maroon as seen on Captain Jean-Luc Picard in the Star Trek: The Next Generation TV series, the fabric in this tie is completely accurate to the colors used in the show and as seen on the main characters in The Big Bang Theory! 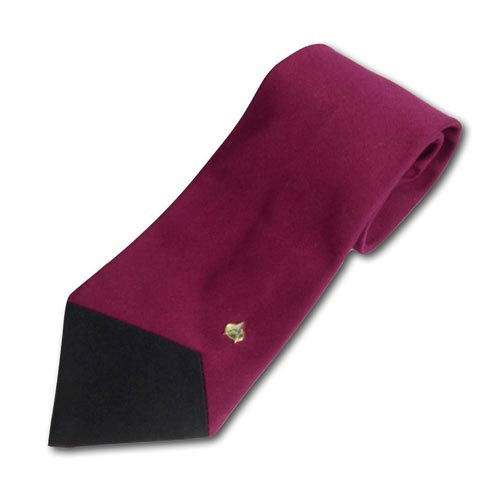 Made to look similar to and be reminiscent of the uniforms in Star Trek: The Next Generation, the Star Trek The Next Generation Picard Burgundy Tie features the characteristic TNG uniform off the centered peak of the tie. Plus, for more discreet geeks, the miniaturized command badge is conveniently magnetic and can be easily removed and applied at your command! Wear the one tie that empowers you to unabashedly tell your colleagues: "Make it so!"